In 1907 the San Francisco firm The Shipowners and Merchants Towboat Company ordered two ocean-going tugboats from John Dialogue and Son of Camden, New Jersey, builders of tugs, pilot boats, and small steamers. At the turn of the century many harbor tugs were built with wooden hulls and powered by a compound two-cylinder steam engine of about 500 horsepower. Hercules and her sister Goliath instead were built with 150 foot riveted steel hulls and triple expansion three-cylinder 1000 horsepower steam engines. The only remaining ocean-going steam tug on the West Coast, Hercules was designated a National Historic Landmark in 1986. She was was documented as part of the Historic American Engineering Record, a program of the National Park Service. 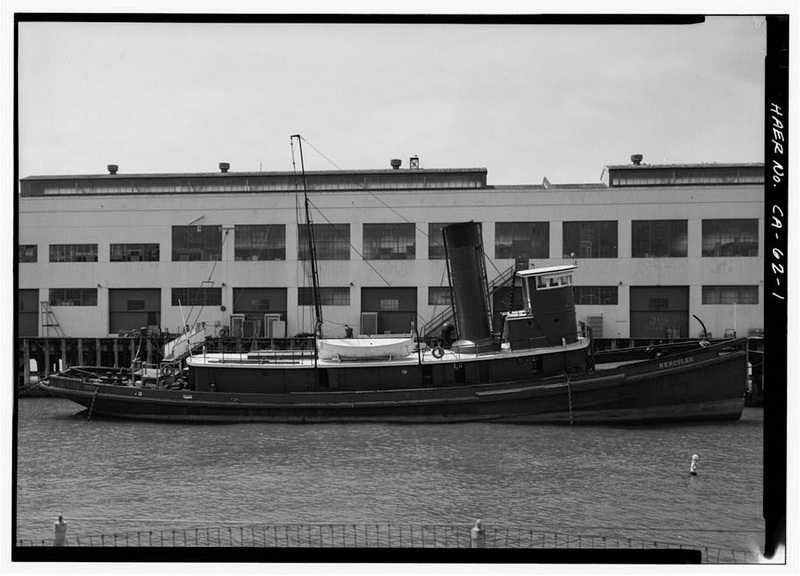 Our photo gallery of steam tug Hercules features high-resolution photographs from that survey that are kept by the Library of Congress. Also, check out our Free Ship Plans of Steam Tug Hercules.